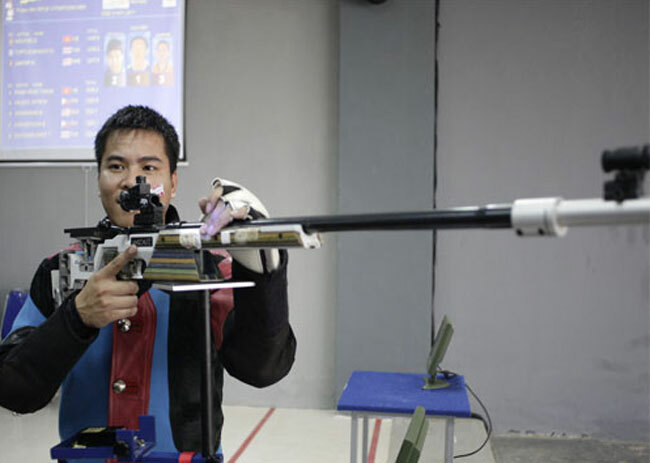 HA NOI (VNS) — Nguyen Duy Hoang secured the title yesterday in the men's individual 50m 3-position final during the National Best Marksmen Championships in Ha Noi. Hoang of the Military team defeated defending champion Phung Le Huyen of Thanh Hoa with a score of 1,239.6 points. Huyen, who set a national record of 1,258.7 points, had only 1,239.2 points. Nguyen Van Quan of Hai Duong came in third with 1,235.6 points. In the men's individual sport pistol event, HCM City's Bui Hong Phong took the gold with shots of 589 points. His teammate Phan Cong Minh came second, followed by Dau Van Dong of Military.